During our stay in St. Louis my brother Charles had a severe sickness his living through it was a marvel. We lost our youngest brother Norman, and my father was accidentally drowned over in Illinois where he was at work. Unfortunately, John Woodhouse’s Pioneer Journal is not a contemporary account, but a series of recollections written down quite a bit later, in Utah. He did keep a journal, but the it was lost, presumably during the journey. It seems that he did not want to dwell on the details of his father’s death. Charles Woodhouse died in St. Louis, Missouri. He was coming home from performing on his violin with a musical group to earn money to travel on to Utah. He had too much to drink and fell in a open hole filled with water. He was found floating with his violin floating next to him. LEHI, June 4. — Mrs. Emma Thomas Woodhouse, 86, died this morning at the home of her daughter, Mrs. Rachel Anderson from ailments incident to old age. 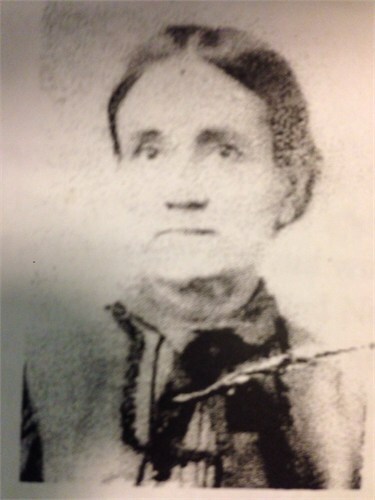 Mrs. Woodhouse, daughter of Daniel S. and Martha Jones Thomas, was born in Kentucky, Oct. 21, 1836. Her parents had joined the Church the year previous being converted by Wilford Woodruff, later president. In 1837, that family moved to Farr West, Mo., and thence to Nauvoo, Ill., in 1840, remaining until the exodus in 1846. They crossed the plains in 1849 and May 18, at Beaver she married John Woodhouse. They moved to Lehi a few years later where she has since resided. She is survived by the following children: John D. and Harden Woodhouse, Mrs. Rachel Anderson and Mrs. Charles Ohrau. 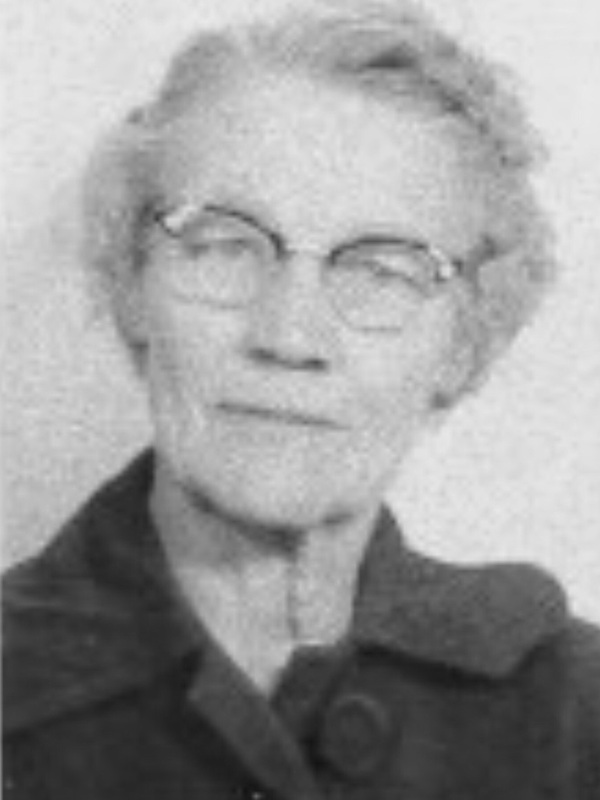 Lehi: Wilford Woodhouse, Idaho Falls: Charles Woodhouse, Preston, Idaho; Arza Woodhouse, Los Angeles, Calif.; Mrs. James M. Kirkham, Salt Lake: also 86 grandchildren, 73 great-grandchildren and four great-great-grandchildren. Ten grandchildren served in the world war. Today’s post is another pioneer biography, this time in Sarah Ann Weeks’ own words. I am daughter of Joseph Peter Weeks and Anne Kearns Weeks. I was born August 19, 1843 at Paddington, London, England commencing school in 18? ?, graduating from the ninth grade in 1855. I got my education quite young, starting to school when but three years old, going to the same school all he time, and having but two teachers during my whole six years of schooling. I had one brother and one sister older than myself and one younger brother. Their names were as follows: Mary Anne, Joseph John, and Frederic Charles (Charels). My sister married a man by the name of Thomas Alfred Burrell. My brothers were not married when I left home for America. My father had five brothers and two sisters. My mother had one brother and two sisters. My father died when I was but nine years old, so I had to work out for my living from that time one, getting my education quite young. I got along nicely having to go out to work for my own living. When I was seventeen I went twelve miles from home to work as house maid for an English gentleman’s family. The cook, the gardener, and the gardener’s wife were Mormons. I soon became acquainted with them and I too joined the Church of Jesus Christ of Latter Day Saints. I remained with this family until I went home to prepare to go to America. Of course, my people were against me going away with such a set of people as the Mormons. My mother told me if I went to America with the Mormons I need never expect to hear from her no matter how many times I wrote her. She also told me that before she opened them she would not open them but would put them in the fire and burn them. She also said that if she had to open them to find out who they were from, when she did see that they were from me, she would burn them up without reading them. This is all because they were so prejudiced against Mormons. I guess mother thought that by saying this she would change my mind so I would not go, but it made no difference to me for it was for my religion I was going for. So, you see, when I got ready to sail for America, I had to run away from them without saying goodbye, and when they found I was gone, they got a policeman and came aboard the ship Amazon, in search of me. They searched for me until they either had to cross the ocean or return to the decks, but their search was in vain. They could not find me, so they had to return without me. I could have put my hands out and touched them many times as they passed by. I have never heard a word from any of my people since leaving home for America. I know the Lord opened the way, and put the means in my way, so I could come to Utah. I wrote many times to my people but received no answer. After I was married, my husband and [I] advertised to try and locate my people, but it was without results. We sailed from the London docks June 4, 1863 with John Avery Captain. He was a very kind and good man. William Bramhall of Springville was the president of the ship Amazon. We had a very good voyage and enjoyed ourselves very much. There was only one death on board the ship and [that] was a small baby. There were one thousand and one souls on the ship. We were six weeks on the water. We landed at a place called Castle Gardens, New York; then went to Florence, Nebraska by boat and trains, where we met ox teams from the valley of Utah. It was indeed a very pretty sight to see sixty covered wagons with their oxen ready to take us to Salt Lake City, Utah. We stayed at Florence, Nebraska a few days to wash and clean up for the journey. I spent my twentieth birthday there. We left Florence the 12th of August 1863 and arrived in Salt Lake City October 5, 1863. We had a happy time crossing the plains. I walked almost all of the way with several other girls. When they could find a suitable place to camp, the men would clear off the grounds, and we would have a dance, as the teamsters had some musical instruments and knew how to play them. Sometimes we would sit around the campfire telling jokes and stories, singing songs and hymns. We enjoyed ourselves fine. We had some buffalo meat which the men had killed, and it was surely good. We had some buffalo berries which tasted good after traveling so long. Then it was novel to us, cooking over the campfire and going ahead of the teams to gather buffalo chips to do the cooking with. At last we arrived in Salt Lake City, Utah. Daniel McArthur was captain of the company crossing the plains. He lived in St. George, Washington County, Utah. As I had no place to go, I went on with the Dixie teams and stayed at Washington, Washington, County, Utah that fall and winter. In the spring I went to Fairview, Sanpete County, Utah and stayed in Fairview, then called North Bend. I taught school three terms and worked around at different places. In the spring and fall of 1866 we vacated on account of the Indians, who were very hostile at that time. We went to Manti and stayed there for a while.We then went back as far as Spring City and stayed there that summer and fall and in November I was married to Aaron Lewis by his father Nathan Lewis at Manti November 18, 1866. I was given a patriarchal blessing by Bro. [E]mmier[?] Harrison; one by M. G. Perkins, and one by Wiliam Cazier. My occupation was a housewife; my height was five feet one inch; my weight 140 pounds, my bust 36 inches; the color of my eyes dark brown, my hair very dark brown; my health good. I am interested in religion. I taught school three years. I was a member of a choir for two years. I was a [nurse] for five years. We lived in Manti for three months; then moved to Richfield, Sevier County, Utah, and in the fall of 1866 had to move again on account of the Indians. We then moved to Nephi or Salt Creek, as it was then called, in Juab County, Utah. We lived there two years, and our first child was born there September 8, 1867, her name being Rebecca Anne Lewis. We then moved to Spring City, Sanpete County, Utah where Hannah Louise Lewis was born November 12, 1869; also Sarah (Permelia) was born in Spring City April 2, 1872. We then moved to Manti, Sanpete County. We lived there about three years. There my husband’s father died, and my husband could not content himself there when his father was gone, so we moved to Joseph City, Sevier County, Utah, where his oldest sister lived. It seemed [to] us as if they could not be separated long at a time. There we joined the United Order. It lasted only eleven months. They could not agree, so I guess it wasn’t the right time for the order, so the order was broken up. We then moved to Santa Clara, Washington County, Utah April the 7, 1876. His name was Joseph Aaron Lewis. He died January 7, 1906 at Marysville, Utah. My husband and his family and his sister and her family moved to Panguitch, Garfield County, Utah in the spring of 1878. We lived there thirty years. The following children were born at Panguitch: Amity Rosalia born March 28, 1878, died May 6, 1880 at Panguitch. Ester Elmira born March 12, 1888 and died December 28, 1896 at Panguitch. Nathan Martin, born June 12, 1886. Albert [unreadable] born March 12, 1886 died December 28, 1896 at Panguitch. My husband’s sister died at Panguitch when my husband and I were left alone. We later moved to Tropic, Garfield County, Utah where our daughter (Permelia) lived. My husband died April 12, 1900 at Tropic, Garfield County, Utah. I went to live with my daughter (Permelia) six years later being 1906. We later moved to Lake Shore, Utah County, Utah and have lived here ever since. I am now 80 years old and able to wait on myself. It is now 1923. Mother died May 29, 19282. She was 84 years and nine months old when she died. Lehi , Sept. 10 – This afternoon at 1 40 o’clock , while walking on Denver & Rio Grande railroad track, John Woodhouse, a pioneer of Lehi, was instantly killed when train No. 5 struck him. Mr. Woodhouse attended priesthood meeting this morning, after which he dined with all of his family that reside in Lehi, at the home of his daughter, Mrs. Rachel Anderson. After dinner, Mr. Woodhouse, as was his custom, went for a short walk and since he was only one block from the Denver & Rio Grande depot, he took part of his walk along the railroad track. He had gone as far as the cattle guards when, apparently, he heard the train and turned around, but became confused and was struck by the engine and hurled a distance of fifty-four feet, alighting on his head and receiving a bad fracture of the skull immediately over his left eye. His chest was badly crushed, his arm and shoulder broken and his neck broken. The train was stopped within 300 yards of the accident and the crew picked him up and brought him to the depot where he was identified by Joseph Goates and sent to Leo Goates’ undertaking parlors. Mr. Woodhouse was 86 years old and is survived by a widow and ten children. He was the son of Charles and Anne Long Woodhouse and he was born July 21, 1830 at Wickle street, Doncaster, Yorkshire, England. He was a tailor by trade, his father and grandfather having been the same before him. 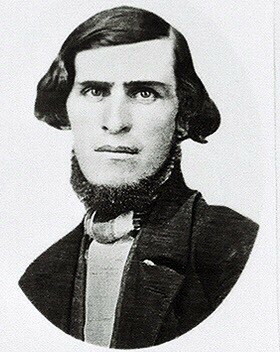 At the age of 18 he joined the Mormon church and January 6, 1847 left Liverpool for the United States, arriving in Salt Lake City, Utah September 10, 1852. From Salt Lake, he moved to Provo, thence to Nephi, Spanish Fork, and finally to Beaver, where he remained for some time. In March 1864, Mr. Woodhouse came from Beaver to Lehi, in company with Daniel Thomas, whose daughter Emma he had married. He has resided in Lehi ever since. He has been a well-known and influential citizen and has acted as city assessor, county assessor and justice of the peace, beside acting on countless other offices, both in church and state. His children are William Woodhouse and Morgan Woodhouse of Idaho Falls, John Woodhouse of Lehi, Charles Woodhouse of Lewiston, Utah, Mrs. Rachel Anderson of Lehi, Isaac Woodhouse of Arthur, Nev., Dorr Woodhouse of Los Angeles, Cal., Mrs. Kate Kirkham of Lehi, Harden Woodhouse of Idaho Falls, and Bertha Ohren of Lehi. He has sixty-two grandchildren and forty-five great-grandchildren.